News: Mixers® has post-sound staffing for Union and non-union shows. 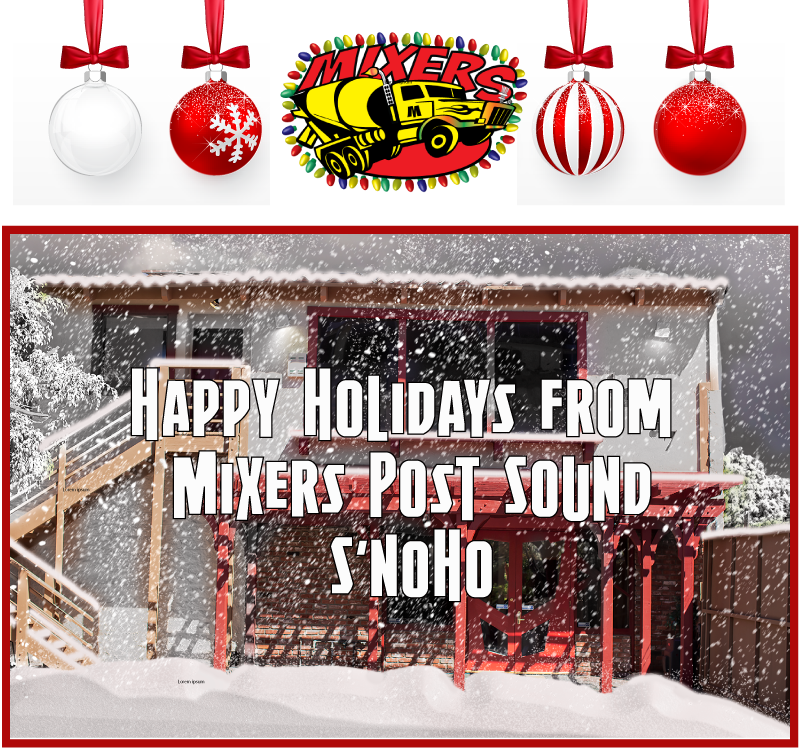 Mixers’ Post Sound is the L.A., film and television post scene’s #1 audio boutique. Busy clients have taken to our atmos. No room-hopping “who am I going to mix with this week.” No episode-grinding, assembly-line tedium. We put your money into your production and the tech and talent that support your show, not our splash. Mixers clients enjoy a consistent listening experience - same stage, every week - with a consistent team of talented and experienced mixers and editors throughout the run of the series. Your stage, your team, from beginning to end. Mixers is a private facility, with renowned "great vibe" stages. We’re low-key and no hustle. We’re the last stop on your schedule, and we endeavor to be the most productive and hassle-free stop along your way. See the Mixography page for a list of our work and awards. Call for Booking and Information. "SURVIVOR ALWAYS SOUNDS SO EPIC - SUCH A GREAT FEEL." Mark Burnett, Executive Producer, Survivor, The Apprentice, The Voice. I love finishing at Mixers because they always elevate the show to a new level. Their amps truly to go to ELEVEN. THANKS FOR TAKING THIS SHOW OVER THE BAR. YOU ARE A FREAKIN' MONSTER TEAM OVER THERE. See More of the Mixers® Facilities - 5200 sq ft of Mix Stages, Recording Stages, Billiard lounge and other amenities. Mike Elliott, Executive Producer Halloween II, Kindergarten Cop 2, Secrets of Emily Blair. "WORKING WITH THE MIXERS TEAM WAS A WOUNDERFUL EXPERIECE. I’ll certainly repeat. Dwyer's talent is unmistakable at the console and his sound design team nailed everything we asked of them. I loved the stages and the overall boutique feel." 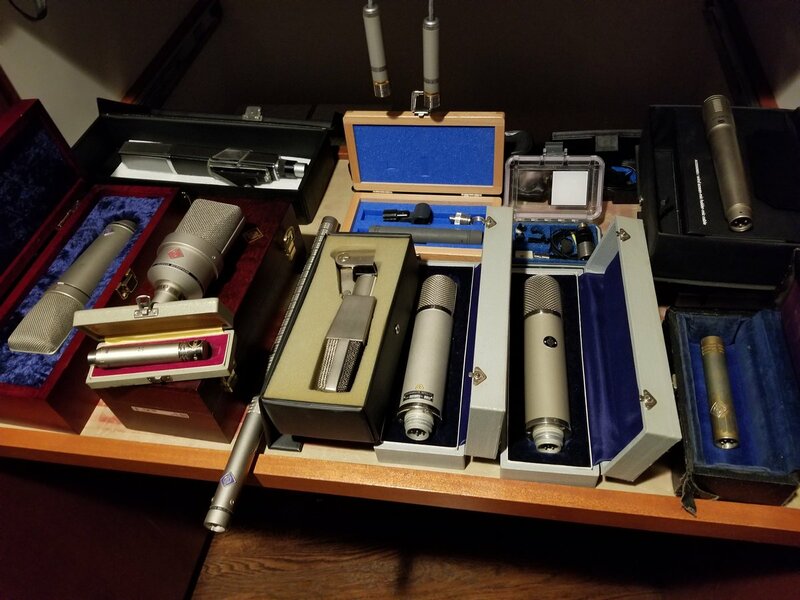 Need Help with Your Analog Masters? We can stabilize and Re-purpose your 2/4/24 track Analog Tape Masters. Visit XFER.TV for more infomation. We Love Dogs. Mixers® is pet-friendly. Mixers® @ Work - From Pulse Creative, Kevin Hart's You Tube Red series. Season Two starts soon! NEWS - Mixers now offers live music recording featuring vintage Neve and API mic pre's, tube and solid state mic classics on our large, renowned recording stage. Visit our facility page for more information. "At Mixers the Inmates Run the Asylum - It's All About the Creative"
Blast From the Past - Indian Hill Media's industry-first A/B comparison video on Mic techniques. For More Mixers® Videos. Click Dots Above. AND APPRECIATE ALL THAT YOU'VE DONE. "YOUR STUDIO IS INCREDIBLE. SOUNDED AWESOME"
"WE COULDN'T BE HAPPIER WITH THE END RESULT. THIER STAGES SOUNDED AMAZING AND PROVIDED THE TOTAL BOUTIQUE EXPERIENCE"
Joe Genier, Exec Producer, Director, Teen Wolf, The Secrets of Emily Blair. Anthony Carbone, Executive Producer, Fear Factor, American Grit. Mixer owner, Terrance Dwyer, is a Nugen, Cedar and Izotope, FEATURED ARTIST. Always the BEST tech. Always the first to use it. Mixers proudly continue with the 35th season of this greatest reality show of them all. Located in the Burbank/NoHo Studio District. Mixers® is a secure facility. Access is restricted. Please call for entry. Bob Kraft and hookers. FAKE NEWS. Concocted by Demos and FBI Dolphin fans. Prolly just tucking his shirt in. Witch Hunt!!! Go Pat's! Today's max daytime temp at home in Claremont of 44 is the lowest recorded in CA history. Also the rainfall is 2nd highest behind 2004/5 in this century in so cal. The Sphere is an addition to Mixers battle-ready mic locker. 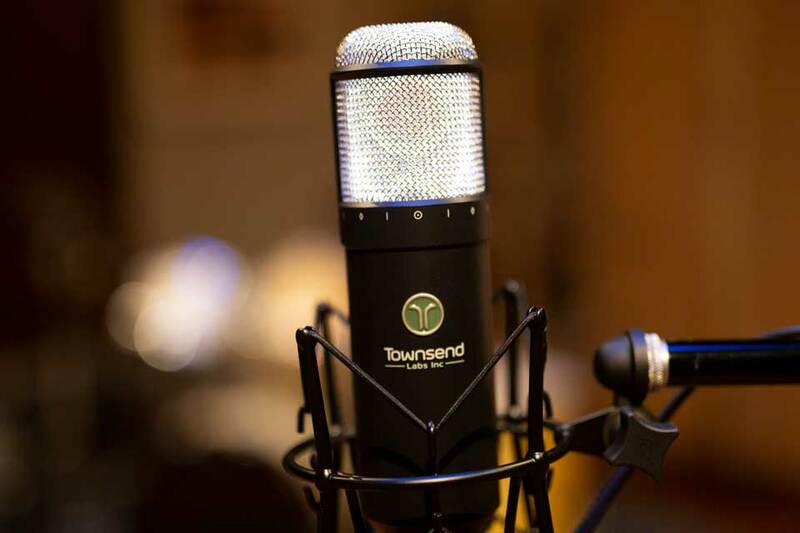 Mixers acquires a Townsend Sphere L22 mic modeling system. Now we have the best mics ever made for our VO and music clients. I've used the real thing (own some) and this system emulates them with crazy accuracy. #DeleteFacebook I've deleted my company and personal Facebook accounts. The companies are still on LinkedIn and I've got phone and email. Enough of FB and it's reptilian leader. Deleted my Facebook account today. You know where to find me. See you there. Singer, Songwriter, Musician, Wilbury. Lost the best of a generation today. We'll miss you Tom. The Le Mans series is shite. Le Mans isn't about LMP cars and this Eurocentric ignorant view of GTLM and GTD is absurd. Worst race doc. Our friend Gary Stockdale provides a soundtrack for the New Year.